Optigard® Cockroach Gel Bait features emamectin benzoate, which affects cockroaches at two different target sites. 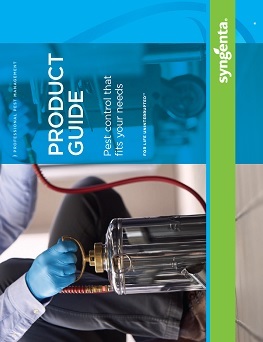 This helps provide another critical tool to effectively control cockroaches, all while following good resistance management practices. View the Labels/SDS information for Optigard Cockroach Gel Bait Insecticide. 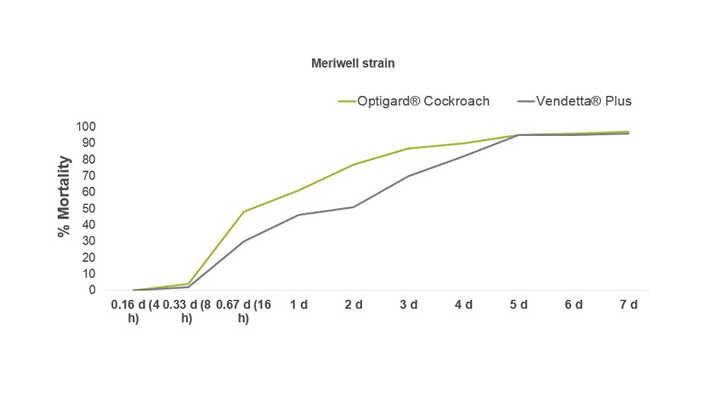 As part of a choice test, Optigard Cockroach and Vendetta® Plus were offered to a recent field-collected strain of German cockroaches ("Meriwell"). 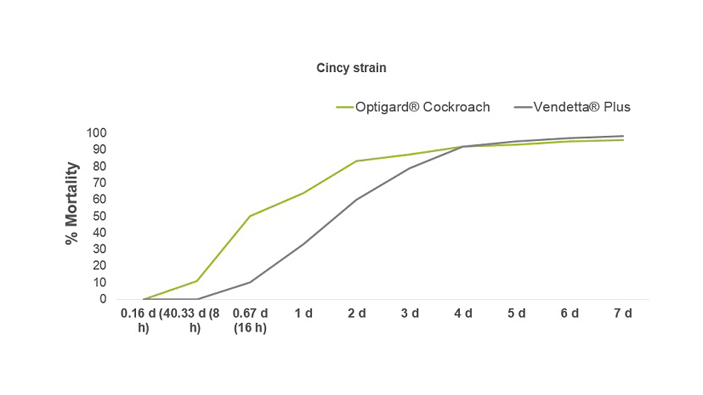 While both baits achieved more than 90 percent mortality by Day 5, Optigard Cockroach, an advanced-generation avermectin, killed cockroaches faster than Vendetta Plus. As part of a choice test, Optigard Cockroach and Vendetta Plus were offered to a strain of German cockroaches with documented aversion to maltose, fructose, glucose and sucrose ("Cincy"). 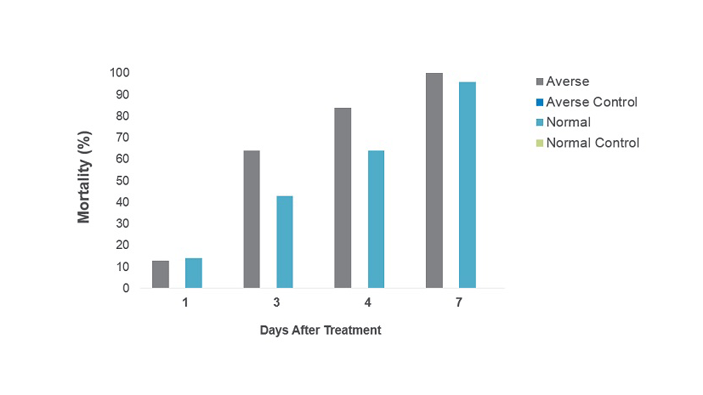 While both baits achieved more than 90 percent mortality by Day 5, Optigard Cockroach, an advanced-generation avermectin, killed cockroaches faster than Vendetta Plus. As part of a choice test, Optigard Cockroach and Vendetta were offered to different strains of German cockroaches, all with varying levels of susceptibility and tolerance. 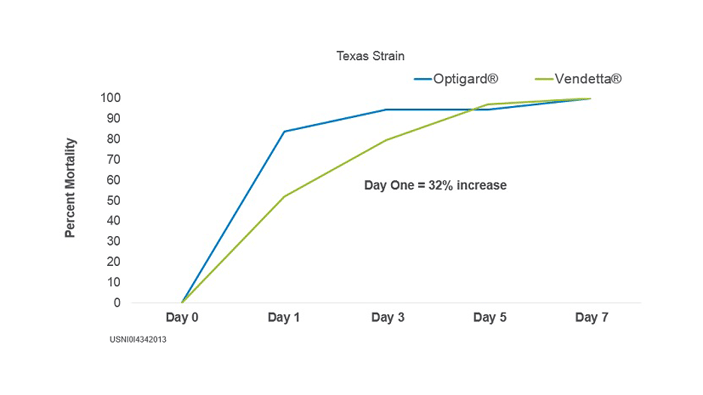 Regardless of the cockroach strain, Optigard Cockroach quickly resulted in more than 80 percent mortality by Day 1. The a.i. in Optigard Cockroach, emamectin benzoate, remains viable within feces and tissues after ingestion by a cockroach. Cockroach nymphs that have never been directly exposed to the bait can consume those feces (defined as coprography), resulting in secondary kill. In this study, normal and bait-averse cockroach nymphs readily consume feces collected from nest mates that fed on Optigard Cockroach. After seven days, 100 percent mortality of bait-averse nymphs occurred, with 96 percent mortality of normal nymphs. Optigard Cockroach was applied in an apartment complex containing large populations of German cockroaches. 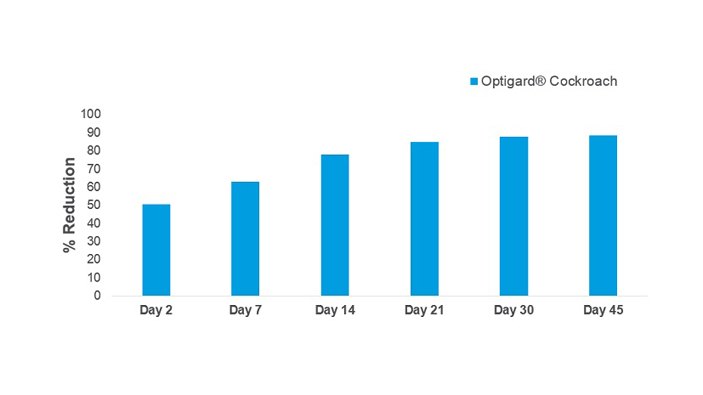 Under very challenging conditions and with no other form of control implemented (such as physical modification), approximately 40 grams of Optigard Cockroach per apartment unit provided more than 90 percent control. 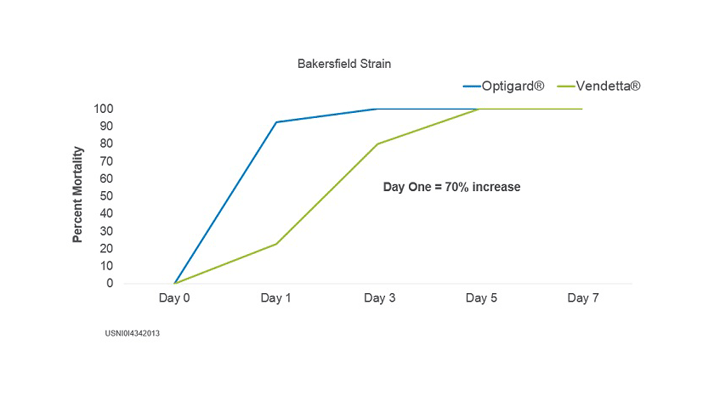 "Syngenta has hit another home run, this time with Optigard Cockroach Gel Bait! It has delivered superior quality and results with extremely high acceptance in our most challenging accounts, and the knockdown is second to none. The enhanced bait matrix of Optigard Cockroach has enticed even the most stubborn and bait-averse cockroaches we have encountered. 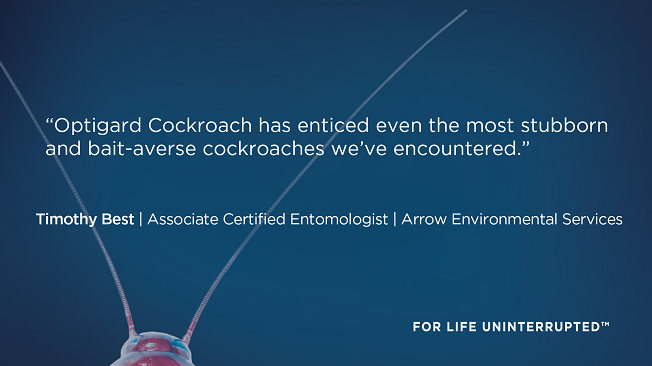 [This is] an amazing product that will now become another permanent tool in Arrow Pest Control’s toolbox for cockroach control." Cockroaches adapt quickly, which is why it's important to rotate gel baits to help manage potential aversion and resistance. Optigard Cockroach, along with Advion® Evolution or Advion Cockroach Gel Baits, can be used as part of a recommended three-month rotation, which matches the average life cycle of a German cockroach. 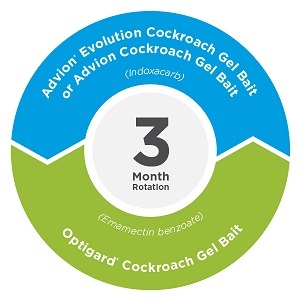 Receive yearlong rebates on purchases of Optigard Cockroach Gel Bait with the PestPartners℠ 365 Program.